Custom Hot Air Balloon Inflatable are available in all colors and sizes. Generate visibility from a distance! 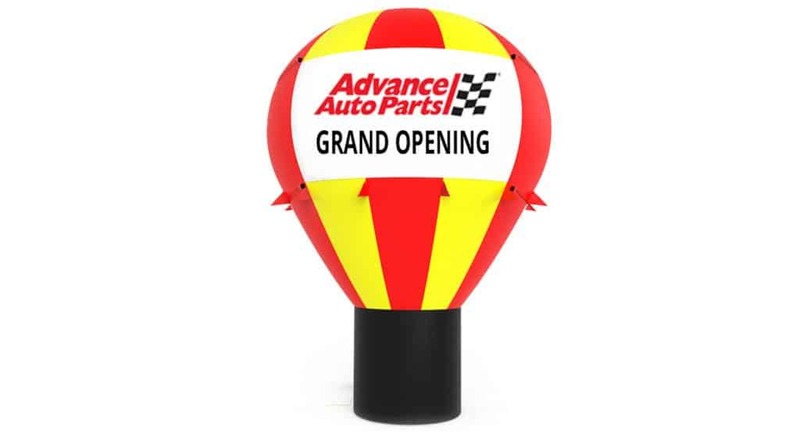 Order your custom hot air balloon inflatable for your next grand opening or promotional event. Select the colors and size of your choice, and upload banner artwork. Need help creating your custom promotional banners? We can help! Follow the easy checkout instructions to create your custom Hot Air Balloon Inflatable today!